2010 has not been a healthy month for me: first an ear infection and now a stomach virus…and it’s only February. Perhaps I should adapt the blog to my condition and write about the foods that sustain me through the worst. All of us have foods that we gravitate toward when sick. Many of these are obvious: saltines, toast, rice, bananas. However, some food preferences make very little sense to others. An old friend of mine swears by a glass of ice-cold pickle brine to combat her hangovers, which strikes me as much less appetizing than menudo, the time-honored Mexican remedy for the ailment. When I was in my first trimester of pregnancy, the only thing I really wanted to eat were Thai basil rolls from the restaurant down the street and Greek yogurt, which I had to order online at the time and at great expense. Outside of pregnancy, my own illnesses seem to fall into two distinct categories: respiratory and digestive. The former gets treated with lashings of hot lemon tea while the latter always calls for Campbell’s chicken soup with rice. Now, I’m not seriously going to offer a recipe for Campbell’s chicken soup with rice, nor any other chicken soup recipe today (although I have a great one for the future). 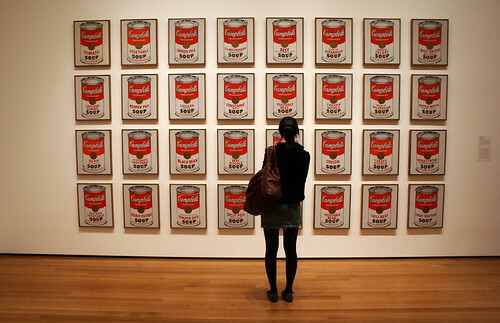 When I’m sick, I want the pure Warhol soup experience: the red labeled, condensed formula, sodium bomb. Anything else is just madness. The lemon tea recipe comes from my mother, and it’s a soothingly delicious beverage that I should really make more often. Unfortunately, it’s of little use to me today. But in case you are in need, here’s a short recipe for a deliciously comforting beverage to enjoy in sickness and in health. Juice the lemons. Put the lemon juice, lemon rinds, sugar or honey, and water enough to cover in a small saucepan. Heat the lemon concoction over medium-high heat until it comes to a simmer. Simmer for about 5 minutes, stirring occasionally to dissolve the sugar. Remove the lemon rinds. Sip slowly while hot, taking care to make the odd reassuring slurping sounds. Good additions include strips of ginger (be sure to remove them along with the lemon rinds); rosemary; bourbon or rum.